Purchased this couple of weeks ago and it's great. Can hang on wall or be free standing and has spinny bit in middle to encourage aim. Haha nice one: encourage aim We ordered it as well and waiting for it to arrive. Good idea to learn a toddler how to use a urinal. Cheap and looks quality. Just ordered two - separately to avoid postage - thanks for posting. Great deal, thanks for sharing! Just ordered one as well Cheers! Brilliant item good yu can freestand or fix to wall. 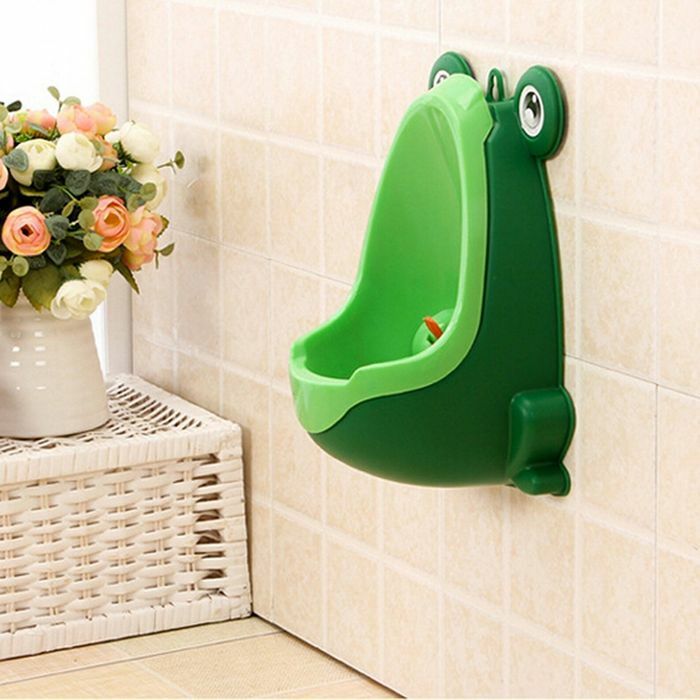 Encourages littles one s in toileting too. Ahh this is a really great idea to encourage the little ones. It's a really good price too. Thanks for sharing.